Floor to ceiling glass windows run the entire length of this unique and spacious open plan Tauranga hotel suite. 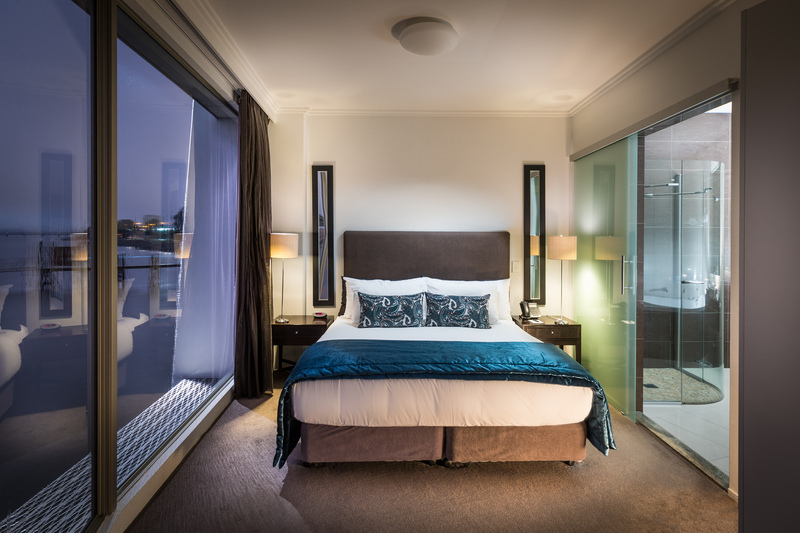 Positioned out and over the water, the Trinity Wharf Suite is truly a magical Tauranga accommodation experience, unlikely to be enjoyed anywhere else in New Zealand. Architecturally designed to maximise magnificent harbour views, the Trinity Wharf Suite is the perfect haven for wedding couples, special occasions, VIP corporate clients, and for those who live by the phrase 'carpe diem'. 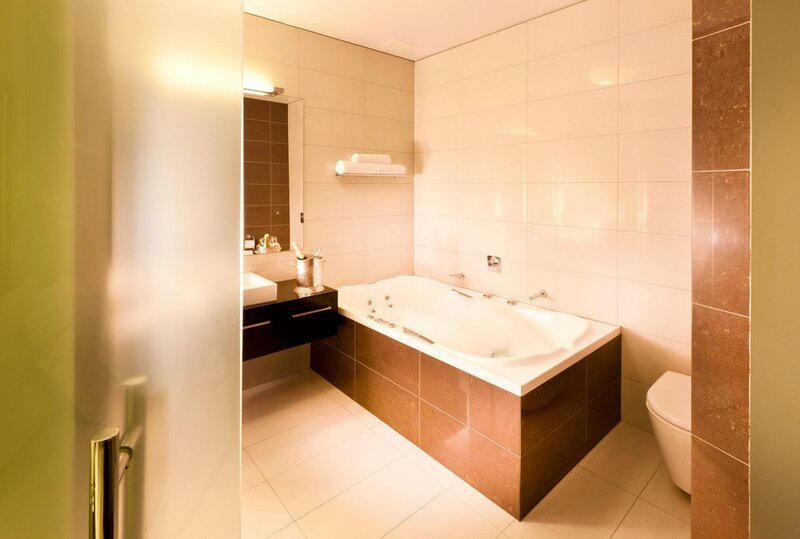 A luxurious double spa bath and powerful walk-in shower add to the sense of indulgence. Featuring a comfortable lounge area and four person dining room table, the scene is set for intimate over-water dining or a small private meeting venue. 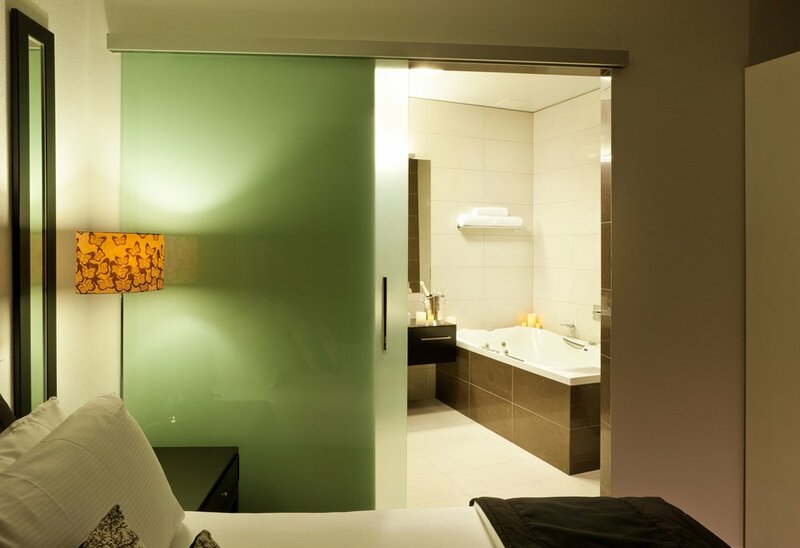 Wake up as the sun rises over the Bay Of Plenty landscape and turns the waters that surround your suite into a golden hue - simply glorious!